Easter is a wonderful opportunity to get together with family, friends, and loved ones for good fun, good food, and a lot of celebration. Here’s a guide to making an already fun holiday even better! Take your Easter egg hunt to the next level.Easter egg hunts are one of the best things about Easter as a child and there’s no reason to miss out on the fun just because you have grown up! 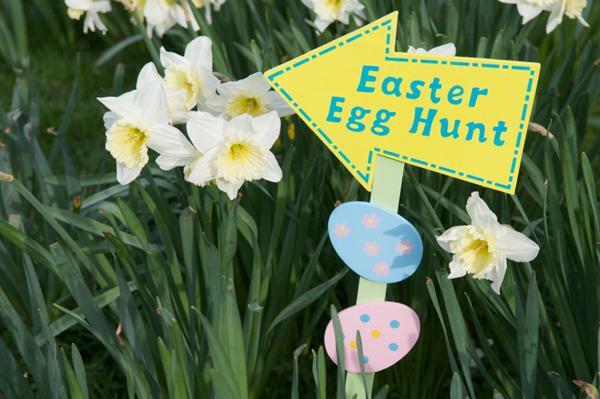 The classic Easter egg hunt, featuring plastic pastel eggs filled with sweets, is great for all ages and the best choice if you have a mixed age group with both children and adults. If your Easter egg hunters are all adults, however, feel free to take the Easter egg hunt to a whole new level. Turn it into a scavenger hunt, complete with a treasure map full of tricky clues to find the ultimate prize! Place little prizes along the way – this is where the traditional Easter sweets come in handy – so that everyone gets something. The ultimate goal, however, is to find the hidden Easter treasure! Concert tickets, a restaurant gift card, a ridiculously oversized chocolate bar, etc. all make great ultimate prizes for your adult Easter egg hunt. Easter is a great time to remind your loved ones that you care for them and want to give them happiness. Because of this, giving small gifts is a common Easter tradition for many. But don’t go for an uninspired pre-packaged gift basket! If you’re going to give a gift basket, you can do much better than an impersonal mass-produced one! Buy simple wicker baskets from a craft store and fill each basket with the specific candies that the person it is intended for likes. A sweet handwritten note will also surely not go unappreciated and is a great opportunity to express your appreciation for your loved ones in words. As a bonus, this method of gifting will probably save you money over what the less personal pre-made gift baskets would have cost. Win-win! We all love painting Easter eggs all sorts of fun colors. But don’t stop there! 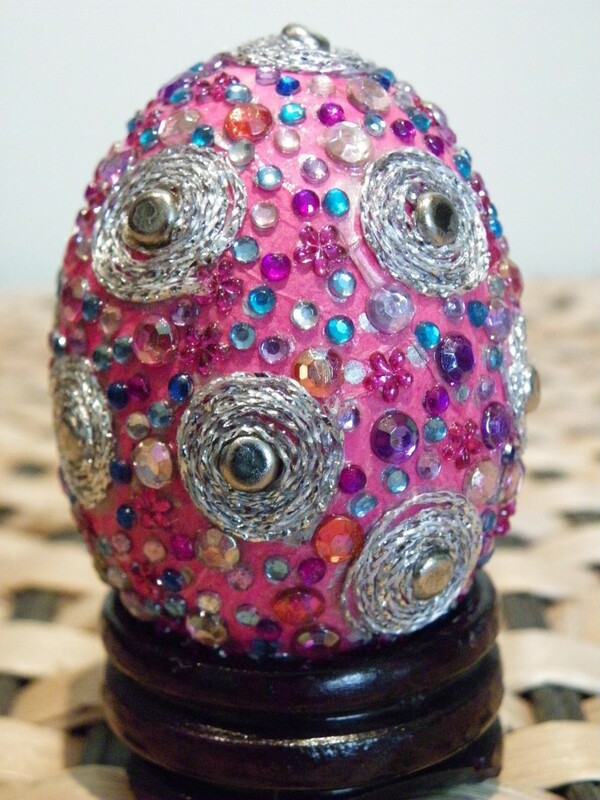 Break out the hot glue gun, sequins, glitter, rhinestones, feathers, felt, and anything else that you can think of to make amazing bedazzled Easter eggs! Crank up the fun even further by making it into a competition. The winner gets a chocolate Easter bunny! Put more Easter in your eats.The main meal of traditional Easter ham and potatoes is probably already covered, but the rest of the day’s food can be festive, too! Start strong with egg-shaped pancakes for breakfast. If you’re feeling really artsy, see if you can make a bunny-shaped pancake! Strawberry smoothies make a great naturally pastel-colored drink to go with your meal and keep the Easter color scheme intact. 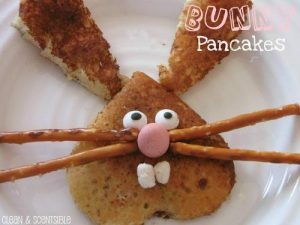 To balance all the indulgent holiday foods and Easter chocolates, take note from the Easter bunny and snack on carrots! Couples that laugh together stay together, so surprise your partner by dressing up as the Easter bunny! 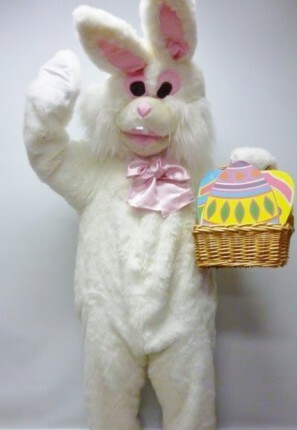 If you’re feeling wild, or you just want to show off the work you’ve been putting in at the gym, go for a more ‘The House Bunny’ than Easter Bunny look. We’re sure you won’t get any complaints. No matter what you do this Easter, and who you do it with, don’t forget to have fun! Enjoying shared time with your loved ones and creating memories that you’ll cherish forever is what it’s all about.